In an interesting and landmark judgment, National Green Tribunal, Principal Bench at New Delhi, in case titled Samir Mehta v Union of India ordered Delta group (including its Panama based holding company & 2 Qatar based subsidiaries)today to pay a compensation of Rs 100 Crores &the Adani Group to pay 5 crores to the Government of India through Ministry of Shipping. The bench constituting Chairperson Justice Swatanter Kumar, U.D. Salvi, A. R. Yousuf & Ranjan Chatterjee, had to consider the matter concerning compensation payable for the Oil Spill caused by Ship Vessel MV Rak Carrier (vessel) on 12.08.2011 around 20 Nautical Miles from the Indian Coast line, the effects of which were realised till within 5km of the Coast line as well. The brief factual matrix of the case can be summarised as that on 12.08.2011, the above mentioned vessel sent by the Delta Group carrying non coking coal which was imported by the Adani Group sank in the Arabian Sea due to water ingression in ballast tanks due to technical faults. Consequently, it led to oil spill over the sea causing environmental damage to the aquatic life and thus causing marine pollution. Indian Coastguard had to control and curb the damage by launching vessels and a significant amount of money was spent on it. On a petition filed before NGT by Samir Mehta, the tribunal took note of various interesting legal questions and issued notice. It was bought to the notice of the tribunal that the Panama based Delta Group of the vessel through its subsidiaries located in other countries had been escaping liability. The tribunal noticed that the vessel was insured and had been issued Bunker Blue Card certificate by the Insurance Company certifying that the vessel was fit to be launched into the sea but was not ‘seaworthy’. It was pleaded by the insurance company for the Delta Group that it was under the process of wounding up and was not liable to pay. The tribunal considered three important aspects – firstly, whether jurisdiction of NGT extended beyond territorial waters of India as the incident had occurred beyond 12 Nautical Miles but within the limit of 200 nautical miles for the purposes of economic zones. 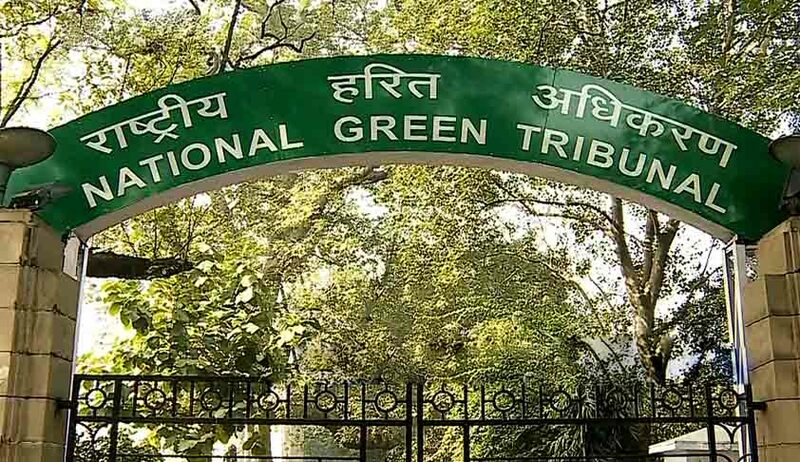 Secondly, whether NGT had powers to order compensation in lieu of any lawful exercise undertaken by the Govt. of India (Indian Coast Guard) stretching the Polluter Pays principle further. Thirdly, it was very interesting to fix the liability as the sender and subsidiaries intended to play the blame game, the insurer is registered outside India and was claiming bankruptcy, the re-insurer also a foreign entity was not a party and the receiver (Adani) was claiming no fault theory. The bench also considered whether sinking amounted to dumping. It was submitted by the Indian Coast Guard, represented by Mr. Ardhendumauli Kumar Prasad and Mr. Namit Saxena that the NGT had powers to levy compensation and both the sender and receiver must be made liable for causing pollution. No party from any country in the world has the right/privilege to sail an unseaworthy ship to the Contiguous and Exclusive Economic Zone of India and in any event to dump the same in such waters, causing marine pollution, damage or degradation thereof. The Ship and its cargo to be removed by Respondents no. 5, 6, 7 and 11 (Delta & Adani groups) within a period of six months from the date of submission of the Report of the Committee before the Tribunal. Respondents no. 5, 7 and 11 (Delta Group) were held liable to pay environmental compensation of Rs. 100 Crores to the Ministry of Shipping, Government of India in terms of Sections 15 and 17 read with Sections 14 and 20 of the NGT Act, for causing marine environmental pollution by sinking of the ship in the Contiguous Zone of Indian waters (Arabian Sea) at 20 Nautical Miles offshore Mumbai coast. The above Rs. 100 Crores shall include the expenses incurred by the Coast Guard and other forces for the prevention and control of pollution in different ways, as stated above, caused by the oil spill and saving the crew etc. Out of this amount, a sum of Rs. 6,91,84,405 shall be adjusted and paid to the respective agencies. Respondent no. 6 (Adani) was held liable to pay a sum of Rs. 5 crores as environmental compensation in terms of Sections 15 and 17 read with Sections 14 and 20 of the Act of 2010 for dumping 60054 MT Coal in the seabed and causing pollution of marine environment, in different ways as stated above. The liabilities to pay environmental compensation as aforedirected are on account of and subject to adjustments, after the submission of the final report by the Committee comprising of various officers and academicians which will also submit recommendations. The judgment has far reaching consequences on powers of NGT and orders of NGT in international law. Pertinent to note that an appeal from NGT lies before the Supreme Court.